Like all the hearts, the ten of hearts is a good omen for the one who picks it. It evokes protection for the consultant against the unknown. 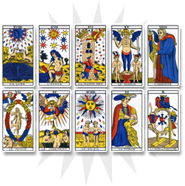 Emblematic figure in the emotional and romantic worlds, the ten of hearts is the guardian of joy and happiness. It protects sentimental success despite the doubts and obstacles that can appear. The ten of hearts protects from life’s hazards. This card helps the consultant take advantage of the obstacles and the difficulties he/she encounters, and shows the person’s qualities to help him/her triumph from the malevolent individuals he/she meets. You can move forward. 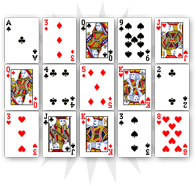 The ten of hearts is an efficient shield against the hazards you will have to face. It announces success in your engagements and your projects. In love, the ten of hearts evokes great joy and profitable vagaries. You are in a situation of transition that will allow you to leave your doubts and anxieties behind. 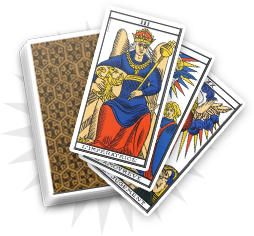 The ten of hearts indicates that you are able to face your destiny and are meant to be happy. On the professional level, you could have a promotion soon. The main idea is that luck is on your side for the next few weeks, in every fields of your life. 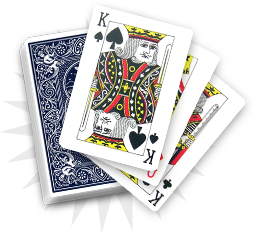 The ten of hearts is a good omen for your relatives as it brings familial comfort. Despite an unstable situation, you will perfectly handle the problems you will encounter. Success is on the side of your relatives. One of your friends is about to get a promotion or to meet someone important. Listen to your relatives and guide them in their projects, success should be at the end of the road.